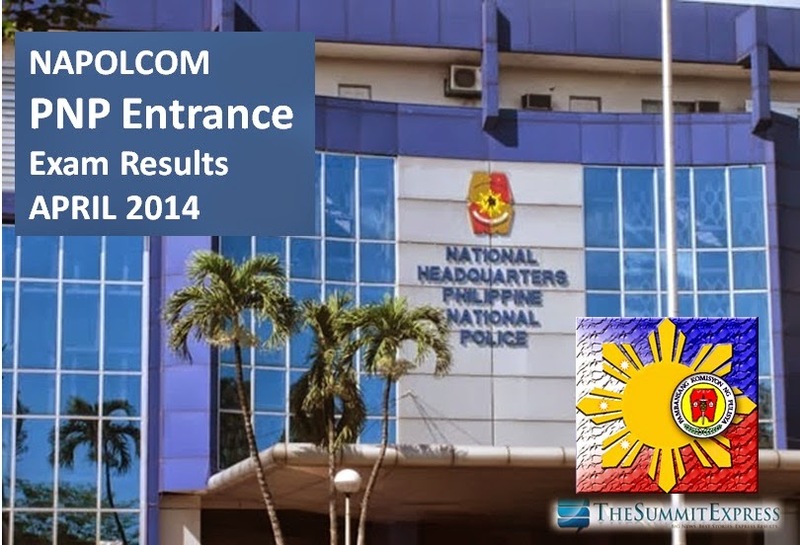 Manila, Philippines - NAPOLCOM announces that a total of 2,070 or 16.39% out of the 12,631 examinees passed the Philippine National Police (PNP) Entrance Exam conducted on April 27, 2014 in designated schools in Metro Manila and other testing centers nationwide. The complete list of passers is now available on this page as officially released online. police recruitment process,” Escueta said. Vice-Chairman Escueta reiterates the Commission’s earlier warning for applicants of the PNP Entrance not to commit any form of examination irregularity, such as cheating, impersonation, perjury or violation of examination rules, since the NAPOLCOM has a computer system that keeps track of the answer patterns of examinees. Escueta said that the list of successful examinees will be posted at the NAPOLCOM central office in its new building located at the DILG-NAPOLCOM Center, NAPOLCOM Bldg., Edsa Corner Quezon Avenue, West Triangle, Quezon City. Individual reports of rating will be mailed to all examinees. Verification of test results will be entertained at the NAPOLCOM central office and its regional offices nationwide starting last week of June 2014. The PNP ENTRANCE EXAMINATION is open to all Filipino citizens who possess the age, height and educational requirements as provided in the PNP Examination announcement.